Korab supports the Turkish National Youth Philharmonic Orchestra (TYPO). Directed by Cem Mansur, The National Youth Symphony Orchestra of Turkey is made up of the best young upcoming musical talent in Turkey. The students at conservatories in İzmir, İstanbul, Ankara, Antalya and other cities are aged between 14 and 21. 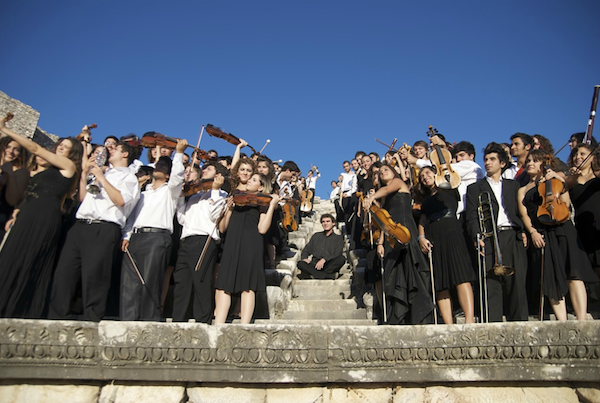 The Orchestra will be touring European capitals from 7 to 22 September 2012, and giving the concert opening night, Friday 7 September, at Saint Chora Church, a beautiful former Eastern Orthodox church located in the outer courtyard of Topkapi Palace in Istanbul.